The quintessential summer holiday is just around the corner, are you ready for the Fourth of July? 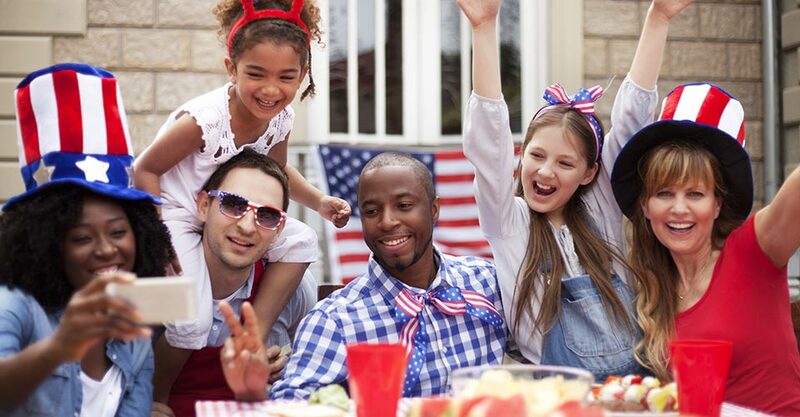 Here are 5 tips to help you make the most out of your Fourth of July holiday, chosen by T+L Family Club. Sunscreen is a must to keep you safe this holiday! Make sure you reapply sunscreen often, one application won’t keep you protected all day. Most sunscreens usually take 30 minutes after application to activate, so plan to put it on way ahead of time. Try using a sunscreen stick on your face for easy application on yourself and kids. Grilling and the Fourth of July go hand-in-hand, so fire it up! Pre-heat your grill for 15-20 minute before you start for the best results. It is easier to remove grill debris when the grate is hot, so make it part of your clean up routine to avoid going out to dirty grill next time. Resist the urge to poke and prod the meat when it is on the grill, instead let it develop a crust and flip the meat when it is seared. Head out to see live fireworks to make the most of your holiday! Make sure to arrive early to get good seats and be sure pack a few Frisbees or balls to play with while you wait for the show to start. Blankets, pillow and beach towels make for a cozy fireworks watching experience, so pack plenty. Scope out alternative places to watch the show before the big day, there might be a great parking lot or hillside nearby just out of the way of the crowds. Plan to get up early and go to a parade as a family! Study the route ahead of time and figure out where it makes the most sense for your family to take in the view. Bring snacks and drinks so you don’t lose your place from having to step out to get some food. For an easy get-away, park your car a little further out so you are not stuck in parade-traffic on the way home. Plan a community block party! Cul-da-sac streets are the perfect location for neighbors and friends to gather, make sure you check with your HOA first. Have volunteers sign up to bring all the supplies, everything from corn hole games, food, chairs, plates and a music selection. Make it memorable with a special element, like homemade ice cream from a cranking machine, a fire pit with all the fixings for smores, a hotdog eating contest or a limbo poll. The T+L Family Club wishes you a Happy 4th of July!